Wengen is located two hours from Adelboden, another ski resort before the war. 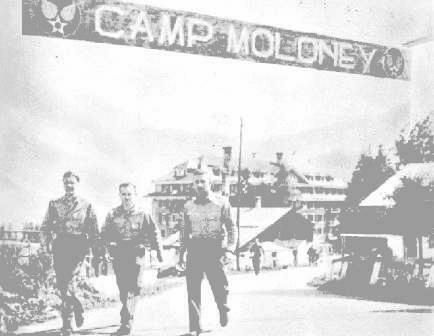 It was opened as an internment camp for enlisted American soldiers in August 1944, as a result of overcrowding at Adelboden. The fourteen hotels in the village were used as lodging for the aircrews. Like the other camps, armed Swiss soldiers were posted at the entrances to the quarters and internees had two formations daily and a bed check at 9:00 PM.